Long time no see around these parts! I know, I’ve disappeared all of a sudden a few months ago and it’s only been in the last couple of months that I’ve been at least a little bit active online on my Instagram, but, as they say, life happens. And, well, a lot has happened. My life has changed in so many ways I couldn’t even imagine, and in that process the blog took a backseat. I’m back to start writing again about my beauty discoveries and loves, about the new exciting launch and the daily face I’ve been sporting, and about the products I don’t find all that great too. I’m back to talk with you about beauty in full swing! In these months of silence I’ve kept watching the odd YouTube video and read a few blog posts here and there, but I’ve also gone more than a couple of weeks without wearing makeup and went a couple of months without even stepping my feet into Sephora. Yeah, I thought I was going mad too, lol! Jokes aside, I’ve been experiencing my love for beauty in a more relaxed way, and I like it. I’m going to talk more about it in future posts, but for now I can tell you that I’m more than happy to walk around barefaced as much as I adore putting on my daily makeup loves, and that’s a change from how I used to be. 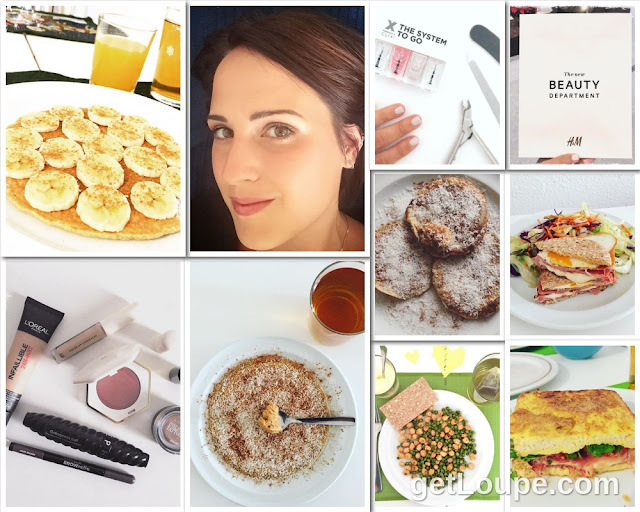 Speaking of getting into more than beauty, if you follow me on Instagram you’ve seen it transition from almost makeup only, to “life”, and in the last coupe of months into a mixture of what I’ve been most into lately, being food and fitness alongside with makeup. The ongoing journey toward a fitter me is something I’ve already talked about in previous posts (here’s a couple of links! link, link), but in the last months I’ve attempted to take it pretty seriously once and for all. The fact that I’ve moved out and I’m now living with my new boyfriend (will be six months since we first met in a couple of days - told you life happened!) has helped tremendously: being the one taking care of everything makes for better choices and a more active life. There are going to be some posts about this topic too - I hope you’re all going to like them! Tell me, what have you been up to in the last few months? What have been your favourite beauty discoveries?